As a fully qualified and experienced professional wedding planner (and having been remarried myself just a few years ago) I know only too well what it’s like as your wedding day draws closer and you suddenly realise that you’re just not on top of things the way you’d hoped and start to feel a rising sense of panic. This is where I can step in and help you with all your final details. Planning a wedding requires a considerable amount of time with so many essential details to organise and it can feel very stressful trying to keep on track of all your plans. This is especially true while also holding down a busy full time job, running a home, trying to fit in seeing your friends and family, arranging your travel and coordinating all your different wedding suppliers, agreeing meetings, timings, directions and all the seemingly endless decisions. This can take the joy out of your wedding plans. I will be your one point of contact and you can leave everything else to me to manage. I can smoothly take over all the final details of your wedding day plans leaving you to relax and fully enjoy the benefit of all the hard work you have put in so far. 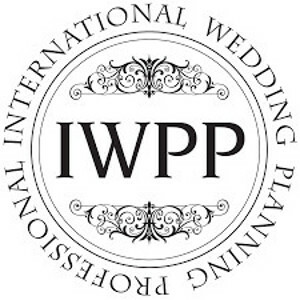 As a fully qualified and experienced professional wedding planner I know how to ask you all the right questions, to listen effectively and then to efficiently interpret your wishes and convey these to your various suppliers and wedding venue. Don’t worry if you feel you are in a complete muddle. My job is to help you to get the style of wedding you want and to ensure everything is set up in line with your wishes and plans. I also have a professional Award of Merit in wedding styling which means I can offer you my professional advice on how to make the most of your venue with inexpensive decor and finishing touches. Or I can check that what you have planned is really going to work. I am here to listen then calmly guide you through all the essential details, to cut through all the hype, to be your one point of contact and wedding best friend! I will contact all your suppliers and liaise with them about all the essential details to ensure everything runs smoothly from here on. I promise I will keep in close contact with you to keep you up to date and to reassure you that everything is on track. Please don’t sit there worrying. Get in touch today to see how I can take the pressure off and help you float calmly towards your perfect wedding day.